I don’t think there’s a bigger debate amongst bike travellers than that between clipless vs. flat pedals. Most of the time the debate comes down to pedalling efficiency and power, but in this article, I will be focussing on the less-discussed reasons why I take clipless pedals on all of my bike adventures. Most data seems to suggest that at a constant power rate on a constant road gradient, there’s no discernable difference between flat and clipless pedals, in terms of efficiency (study 1, study 2, GCN test). Where clipless pedals really shine is on steep hills with varying gradients. 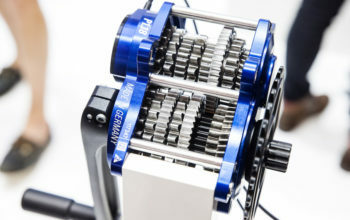 If the gradient gets suddenly steeper, or you need to drop your power to change gears or if you’d simply like to give your legs a short rest – the clipless system allows for a firm upstroke or two which prevents your bike from decelerating. 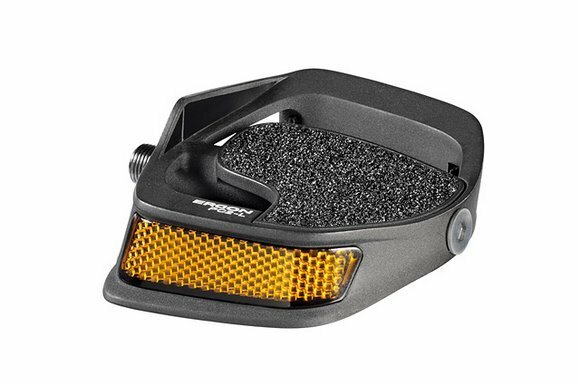 Clip-in pedals also have a noticeable advantage on rocky, off-road climbs where your bike may stall on a pothole or large rock – again, that firm upstroke allows you to kick your rear wheel up and over obstacles to keep your momentum going. 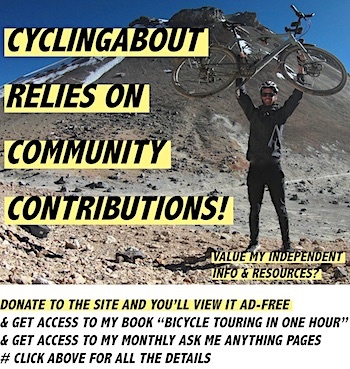 For short bursts of power to, for example, get your bike through sandy road washouts, I’ve found that clipless pedals allow me to maintain a higher rate of power. This is purely anecdotal, of course. Check out this footage of me cycling an incredibly sandy washout in Argentina. Clipless pedals allow your feet to be positioned in the same spot every time you jump on your bike. This helps you to set your seat height with a high degree of accuracy that will maximise your riding comfort and efficiency. In addition, you’ll find this precise positioning advantageous for your knees and hips too. On rough and corrugated roads, your feet will not move around on the pedals. 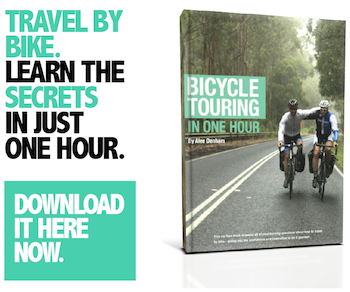 This means you can spend more time focussing on pedalling and sightseeing, rather than adjusting your feet to that ‘ideal’ position. If you’re planning to do more than just riding, you will want to take a second pair of shoes for exploring on foot. Shoes are very inefficient in terms of volume, and additionally, come with a weight penalty of 400-800 grams. 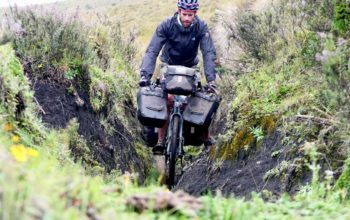 Sometimes the terrain gets too steep or rough and you have to push your bike (most commonly on off-road bikepacking routes). This is a situation when a flat pedal and shoe setup may be the better option. I use clipless pedals with a platform on my touring bikes so that I can switch to running shoes when I need (very rarely the case). 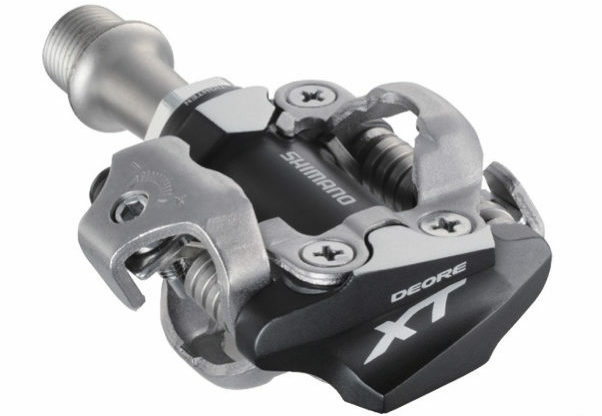 While this is certainly a possibility given the moving parts, I’ve never broken a Shimano XT-level clipless pedal or cleat. If you think you’ll be on and off the bike a lot, you can find platform pedals with a clip-in mechanism on just one side. They are weighted so that clip-in side is prioritised. These pedals allow you to do short rides in casual shoes and long days in the saddle in clipless shoes. The Shimano T8000 pedals are what I’m currently using for my two-year bicycle tour (CyclingAbout The Americas) and the predecessor (T780) was what I used for over 50,000km before that. Check T8000 pedal prices on Amazon (~$108). 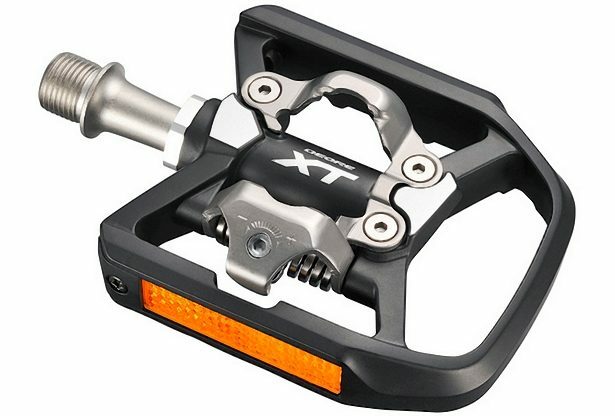 If you tend to ride all day and wander around at night, double-sided clipless pedals are the more minimal pedal option and are a tad quicker to enter. 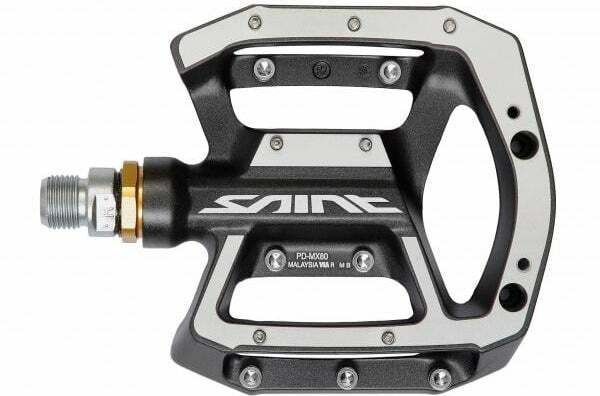 I have found Shimano MTB pedals (especially the M8000) to be the most reliable in the long-term. Check M8000 pedal prices on Amazon (~$74). You can read all about the best clipless shoes for bike touring HERE. Or THIS guide on the most versatile touring shoes (SPD sandals – what I’ve been wearing for over 10 years). What Are The Other Pedal Options? Flat pedals that are designed for off-road use come with long spikes and a large platform that maximise the grip with your walking shoe. The downsides are that the pins will prematurely damage the sole of your shoes, and that you need to avoid striking your shins with the sharp pins! 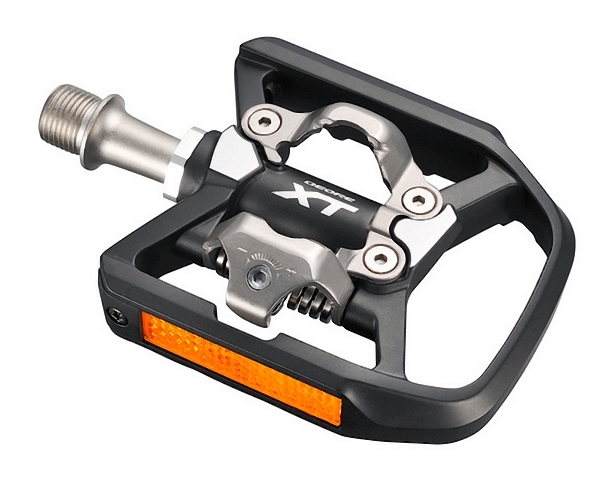 I’ve found Shimano Saint MX80 pedals to be the best for long-distance riding (20,000km+). 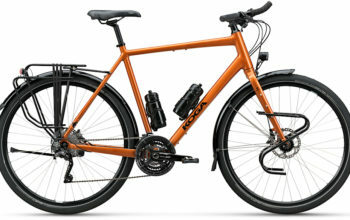 Alternatively, the BIKEPACKING.com crew recommend the Kona Wah Wah at a low price point and Pedaling Innovations Catalyst if you want to employ a midfoot riding position. Check Saint MX80 pedal prices on Amazon (~$65). 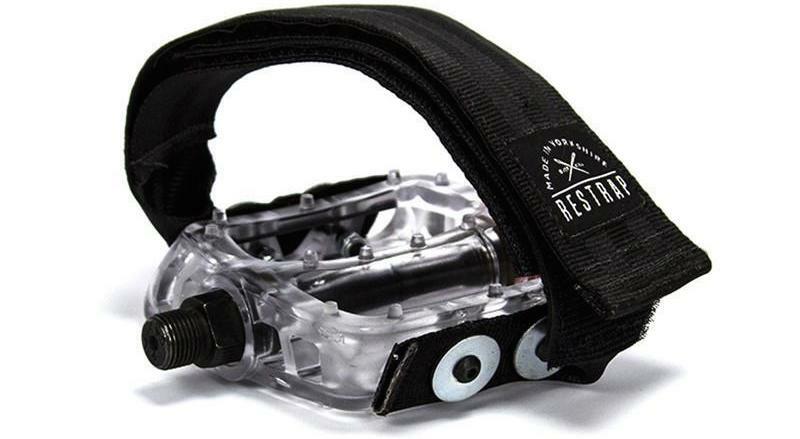 These straps will fit many different pedals with reflector mounts. You can enter the straps at a 45-degree angle, and the diagonal straps tension when you straighten your foot, allowing you to pull on the upstroke on those steep climbs. 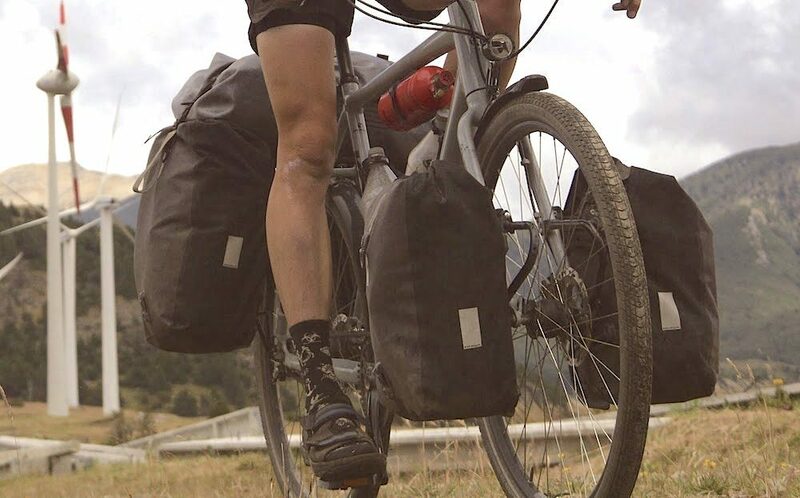 Pictured below are the Restrap diagonal straps, but Power Grips are even more popular for touring. Check pedal/strap prices on Amazon (~$41). Or the strap prices alone HERE (~$23). 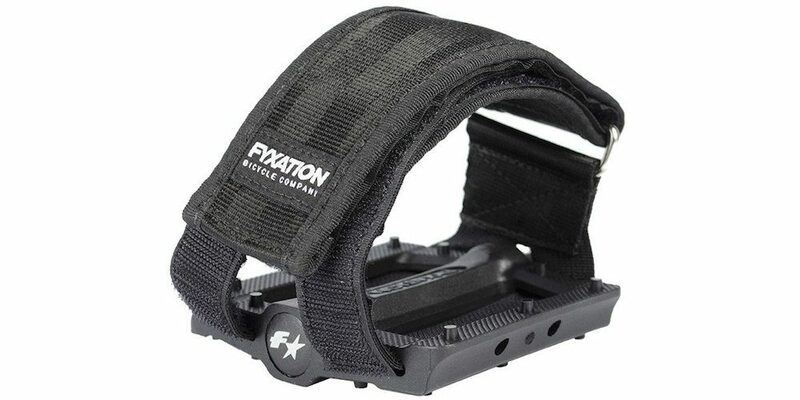 For those that want straps, but prefer the horizontal style – look no further than Fyxation. Their pedals are pretty-well indestructible and so are their straps. Check Fyxation pedal/strap prices on Amazon (~$56). These pedals have a concave design which allows your foot to sit nicely in them. They’re better for sealed road use because they aren’t particularly grippy, but they do have a ridge on the inside which prevents your feet from moving inwards towards the crank arms. Check Ergon PC2 price on Amazon (~$75). If you haven’t tried clipless pedals, I recommend starting out with something second-hand. You might not initially like the feeling of being ‘locked in’, but I can guarantee that after a few weeks of use, unclipping becomes second nature. 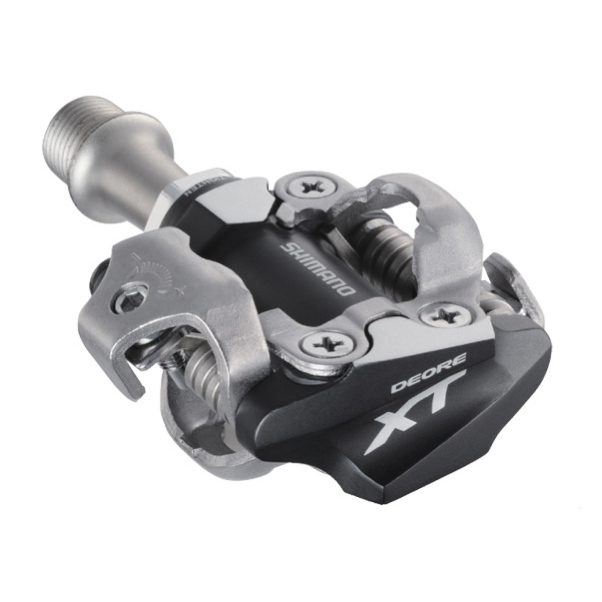 By spending a few days or weeks with clipless pedals you’ll be able to decide whether or not they are for you. The biggest advantage of clipless pedals is in the hills. I use the pedalling upstroke after changing gears, through gradient changes, and when my rear wheel stalls on rough terrain. The clipless setup also results in a saddle height to millimetre precision, which is important to me because my muscles and ligaments have adapted to this over hundreds of thousands of kilometres. 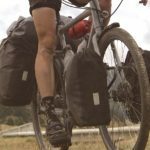 If you’re bikepacking off-road, you may want to consider using flat pedals because carrying walking shoes robs you of packing volume, and if the route is rough enough, you may encounter long sections where you have to push your bike. But everything considered, it’s my experience that clipless pedals offer a decent advantage for all bicycle travel.